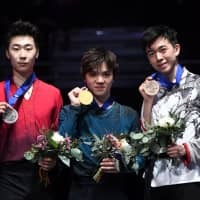 ANAHEIM, CALIFORNIA - Shoma Uno was the first skater in the final group of the men’s free skate on Saturday at the Four Continents Figure Skating Championships. He ended up executing a flawless program that no one was able to match. Uno won the men’s title by successfully landing three quadruple jumps during his four-minute program, including one in combination. The 197.36 points was the highest score in an international competition this season. 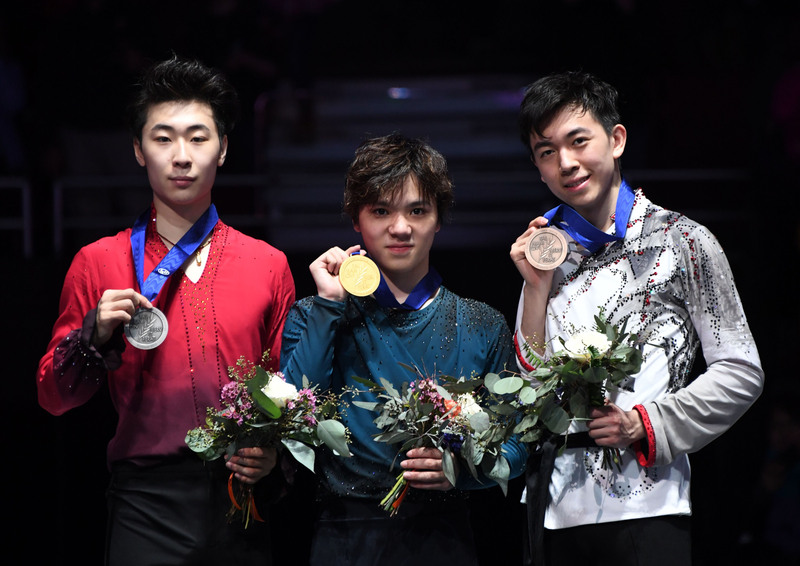 The 2018 Olympic silver medalist — who was in fourth place after Thursday’s short program — posted a total of 289.12 points, which was nearly 16 points better than China’s Jin Boyang, who was the defending champion. American Vincent Zhou was third with 272.22 points. Uno said earlier this week that he had reinjured his right ankle after winning Japan’s national championship in December. That didn’t stop him from keeping in three quads. His program, set to Beethoven’s “Moonlight Sonata,” began with a quad flip and quad toeloop, which earned a combined 25.75 points. Halfway into the program he had a quad toe loop-double toe loop combination (13.51 points) along with a triple axel-single euler-triple flip combination for 14.15 points. Uno’s score in the free skate surpassed the previous high of 190.43, recorded by compatriot Yuzuru Hanyu on Nov. 4 in the ISU Grand Prix’s Helsinki competition. The ISU revamped its scoring system last July, so only scores from this season count toward world records. Jin finished with 273.51 overall points but was frustrated with his free skate, which included one fewer quad than usual. Elsewhere for Japan, Keiji Tanaka was sixth in the free skate and finished seventh overall with 251.54 points. Kazuki Tomono was 12th in the free program and also 12th overall with a total score of 206.41. Earlier, China’s Wenjing Sui and Cong Han edged Canada’s Kirsten Moore-Towers and Michael Marinaro by six-hundredths of a point to win the pairs competition.